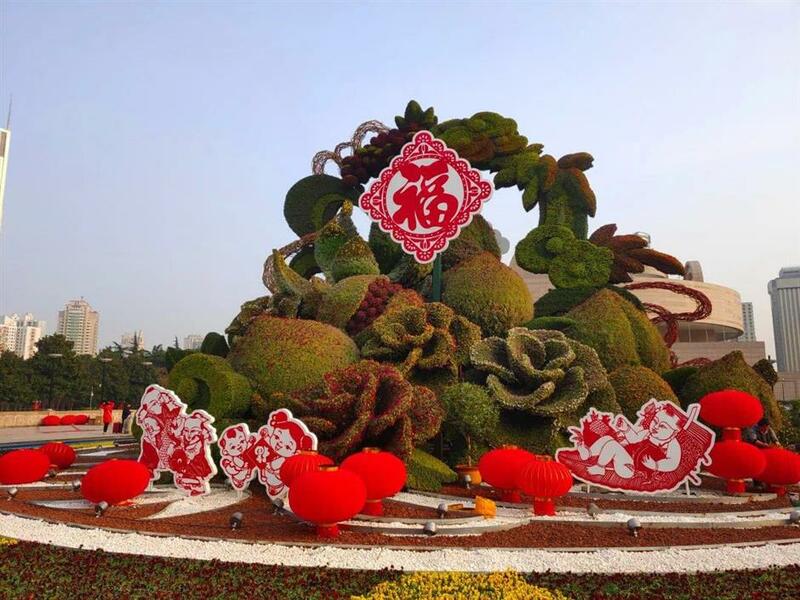 A large vertical flowerbed at People's Square which displays an autumn harvest scene is decorated with traditional paper cut patterns and a huge Chinese character for fu (fortune). 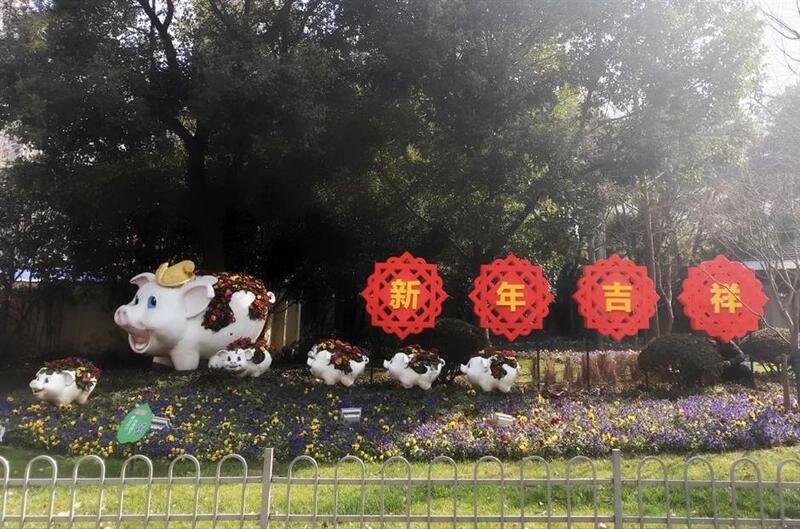 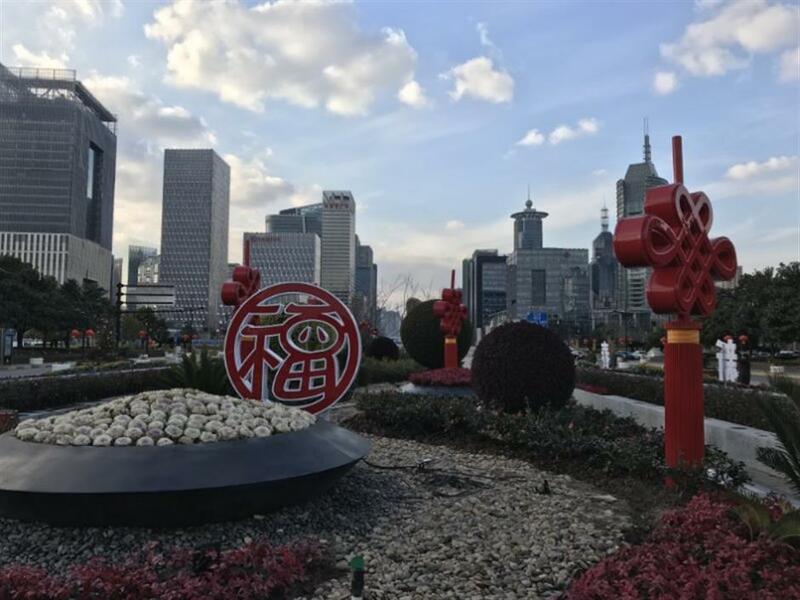 Shanghai has been spruced up with 60 green landscape attractions featuring traditional Chinese Lunar New Year flavor to celebrate the Spring Festival, adding a splash of color and festive atmosphere citywide. 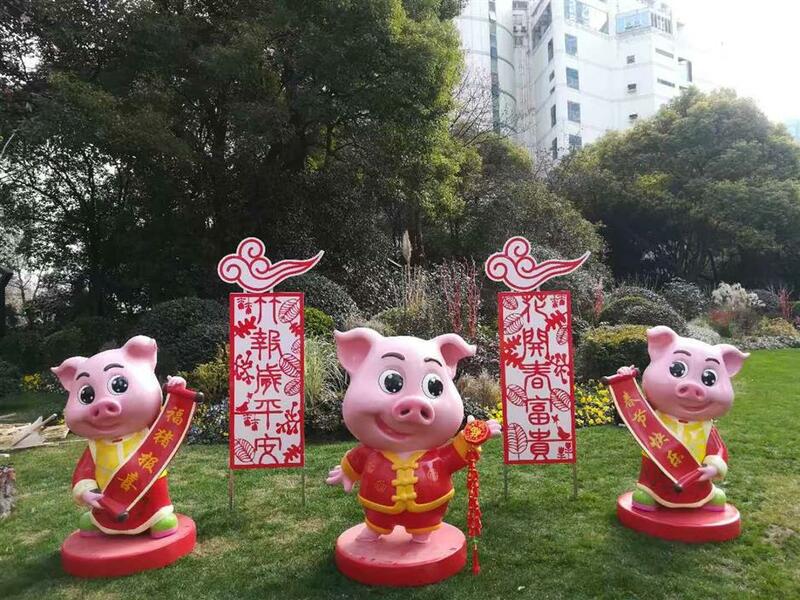 The People's Square, the Bund and Lujiazui, eight highlight areas and 13 streets with busy traffic have been specially decorated, featuring festive elements such as golden pigs, the Chinese Zodiac of the Chinese New Year, red lanterns and Chinese knot, the Shanghai Greenery and Public Sanitation Bureau said. 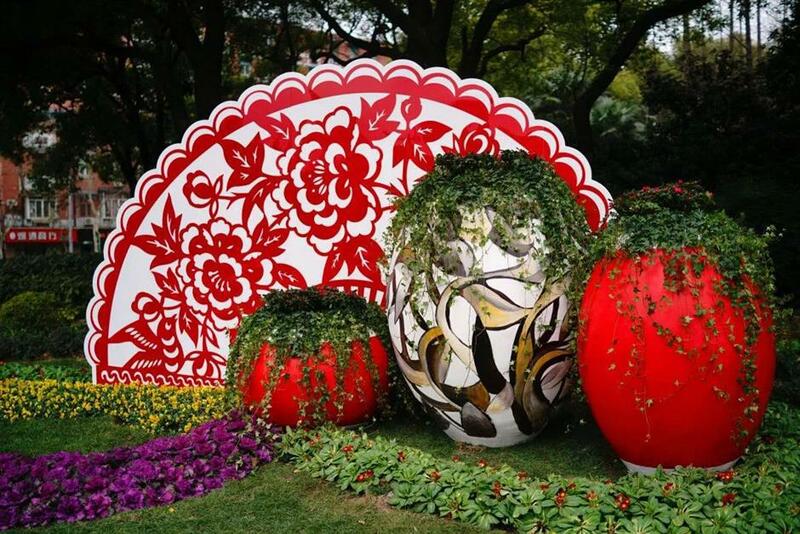 A total of 11 million flower and plant vessels were arranged. 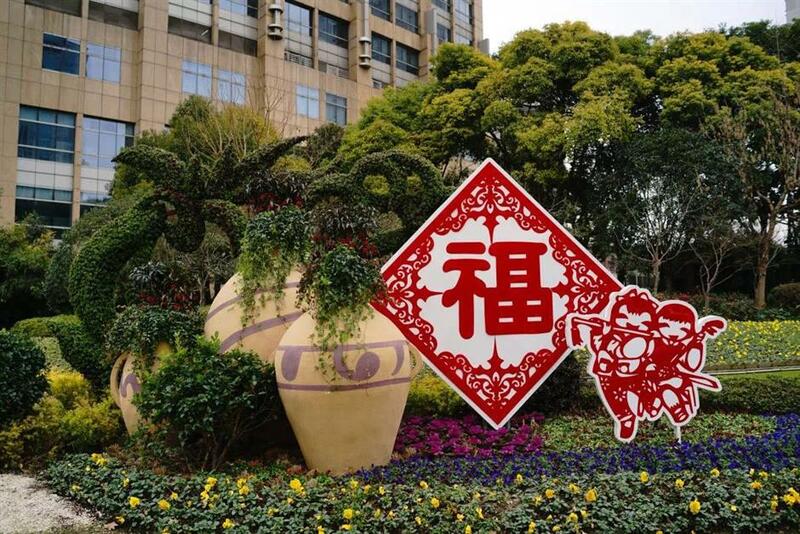 A large vertical flowerbed at People's Square, which displays an autumn harvest scene, has been decorated with traditional paper cut patterns and a huge Chinese character for fu (fortune). 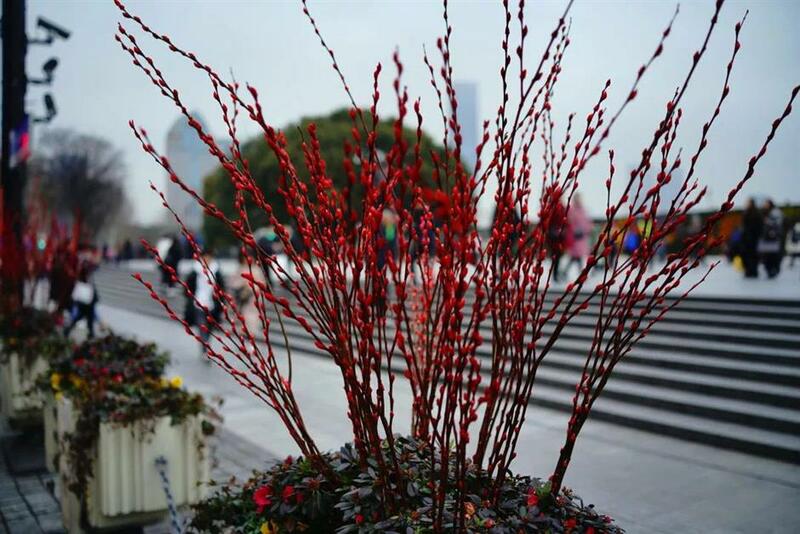 Red lanterns and Chinese knot decorate a large vertical flowerbed in the Lujiazui area. 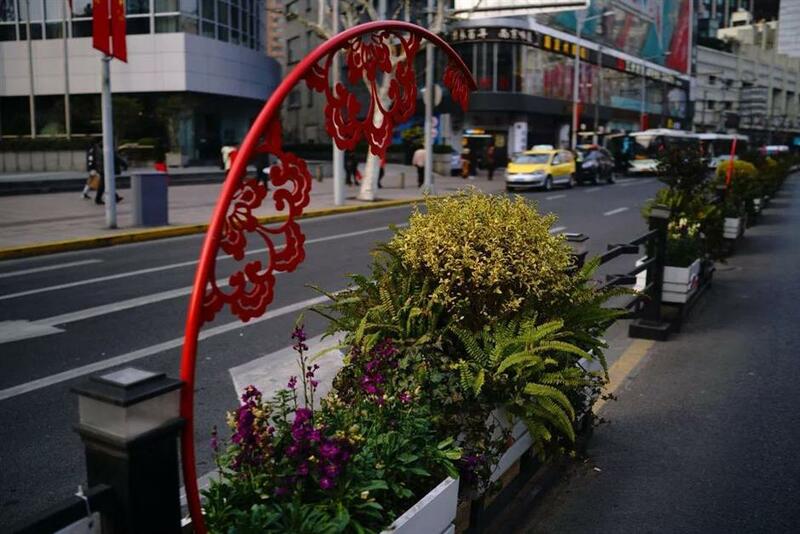 Decorations along the Nanjing Road W.